This page features downloadable photos depicting IESR'environment, equipment, innovations and its people. 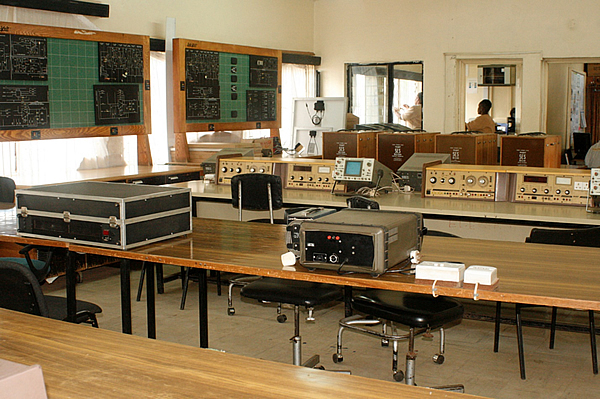 The Institute of Energy Studies and Research (IESR) was established in 1957 with the aim of developing technical and supervisory skills to the then East African Power and Lighting Company employees. Initially, training was concentrated in power line distribution and later on expanded to include electrical fitters, plant operators, motor vehicle mechanics electricians and electronic mechanics. To date, these courses are still conducted to meet the training needs of Kenya Power staff and other corporate organizations. 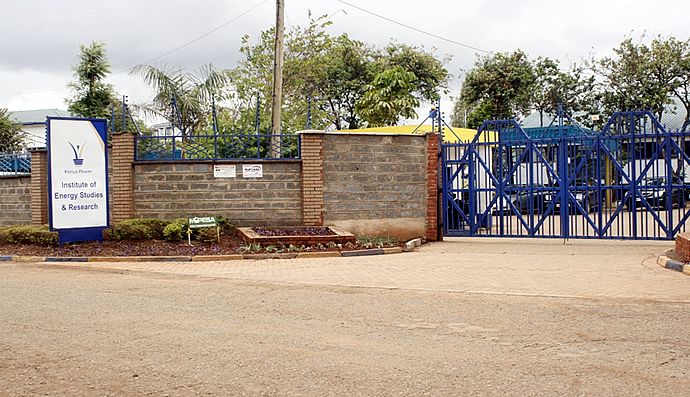 Most employees in the Electrical Energy Sub Sector in Kenya were either trained or did their internship at this Institute. In the year 2000 due to the growing demand, the Institute opened its doors to the public. Currently the Institute offers capacity building courses, artisan, craft and diploma programs. The Institute is in the process of engaging in active research and innovation that is beneficial to the energy sector and in view of this it has signed an MOU with JKUAT to support this initiative. 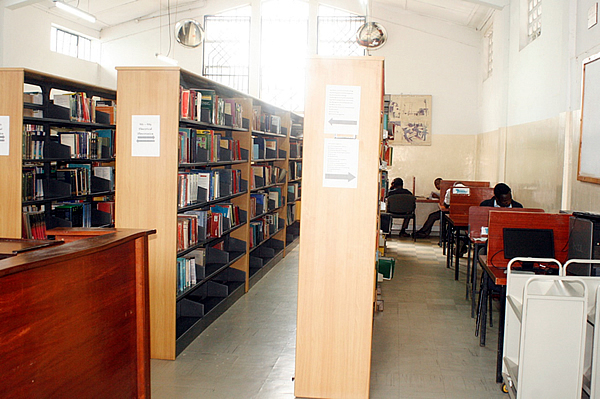 The Institute is expected to occupy a niche market position in energy education, research and innovation. 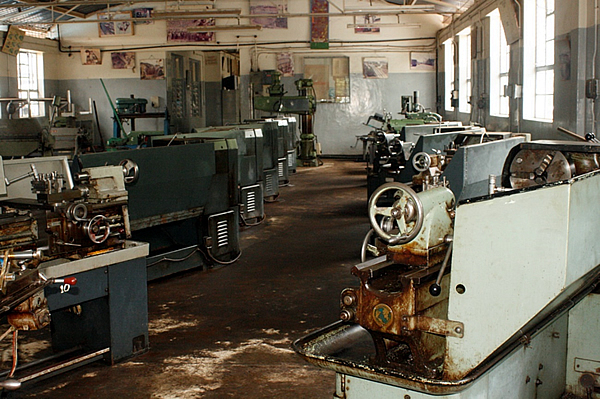 IESR is registered as a Technical Industrial and Vocational Education Institution in Kenya under the TVET Act 2013 and also an Industrial Training Institution under the Industrial Training Act Cap 237 of 2011. Nationally, the IESR is expected to support Kenya’s development agenda as guided by the Vision 2030 which seeks to transform Kenya into a newly industrialized, middle income economy providing a high quality of life to all citizens in a clean and secure environment. In the year 2014, the Regional Heads of State designated the Institute as the regional centre of excellence for capacity building in power generation, transmission and interconnectivity for the Northern Corridor Integration Projects (NCIP). The Institute will serve the wider energy sector covering all the players including those dealing with renewable energies such as wind, solar, geothermal among others. The Institute is a leader in Energy Training and has vast facilities that are useful for Industrial Based Training, attachment, research and innovation. In view of this JKUAT proposes to leverage on the strength of IESR and offer Electrical Engineering degree and post graduate programs at the Institute. Growing up, I’ve been blessed enough to have parents who were able to provide me with some of the best things in life, a privilege that I now realize, I've taken for granted for far too long. Kenya Power has made notable steps towards electrifying Kenya in recent years. Gone are the days electricity in homes was a reserve for urban residents and the Kenyan upper class, thanks to Kenya Power efforts. Electricity is now at arm's length of any Kenyan resident. Former coffee farmers turned to dairy farmers; that is the new life of the people of Githunguri in recent years. This community are huge entrepreneurs in the Dairy industry with the well-known Githunguri Dairy Farmers Co-operative Society, “Fresha” being their product. The farmers in this area have benefited from developments in agricultural technology and electrification in their homes making life much easier and beneficial to a community.